Still, no one was really surprised to hear Szydło shamelessly exploit the tragedy of the Holocaust to justify her immoral refugee policy; or to see an excerpt of her speech suddenly disappear from her party’s Twitter feed, with no further clarification provided. Of course, a clarification would not have changed the fact that Szydło’s words were doubly false. It is nonsense to use the Holocaust as a justification for the government’s policy of “defending its citizens” against the threat of refugees. But, more to the point, the Shoah should serve as a glaring reminder of our collective duty to help those fleeing from war. In the United States, the decision to turn away ships bearing Jewish refugees just before the start of World War II has become a source of national shame. Just when Jews were being murdered in Europe, the US experienced an unprecedented wave of anti-Semitism. Over the course of the war, the US admitted just 21,000 Jewish refugees – a mere 10% of the maximum number allowed by law. Worse still, many Americans favored a complete ban on all refugees; and, according to opinion polls from 1938-1945, 35-40% of Americans would have supported legislation directed against Jews in particular. The refusal to help Jewish refugees is a crucial part of Holocaust history, and one that the Polish government would do well to remember in light of all those now escaping war in Syria. Almost a half-million people have died in that conflict, and millions more have been driven from their homes. Sadly, these human tragedies have failed to move Szydło and her party, which would rather use the Holocaust to denigrate refugees. The PiS government apparently knows no limits, other than the borders of Poland. In fact, Poland’s government has set the country up for even more international embarrassment. 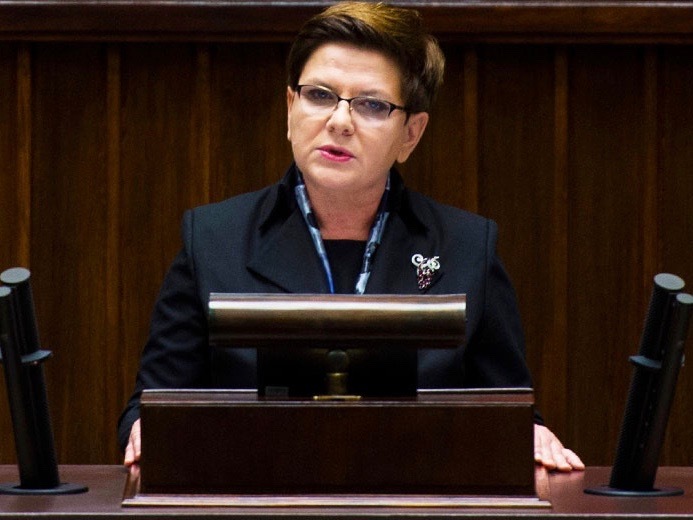 On the same day that Szydło made her immoral remarks, the government decided to inaugurate the Auschwitz Museum of the Righteous in Oświęcim, even though a similar institution already operates as part of the Auschwitz-Birkenau Museum in the same town. The government did not bother to consult the original museum before creating the new entity. What Szydło did not see fit to mention was that the Polish attitude toward escaping Jews during World War II was not always so noble. Some Poles were heroes; others were informants or profiteers capitalizing on escapees’ plight. Fortunately, there are already many books, films, and articles about this history in Poland, which Kaczyński, Szydło, and their ilk will not be able to paper over. By calling on Poles to “remember who was the perpetrator, and who the victim” in WWII, Szydło has made it clear that Poland’s government is composed of people who can only cast themselves as heroes, and are incapable of admitting any fault. It is curious that this government would take so much pride in Poles who helped Jews unconditionally, when it lacks the courage even to help a few orphaned children from Aleppo.